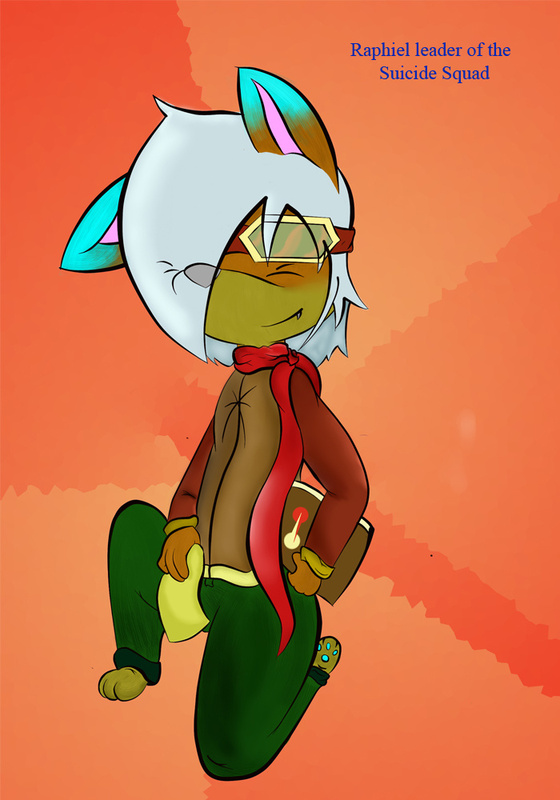 Well this one is the first picture that i made with a tablet, I wish that it is good enough. He is a man with an skillful tongue and a nice personality, pretty charming and happy go lucky. Master of Weapons and with a lot of resources, his spellbook has many trinkets that make other people get stronger to... well you... know...Do you like to fly? Um yes he is going to set his (and your traitor) soldiers on the catapult and shot them straight against you... Well um... We have ice cream, you will get a nice sword and many pretty things. Do you want to join him? WELCOME TO THE SUICIDE SQUAD!